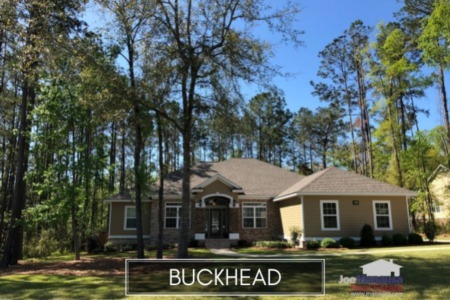 Buckhead is a small but popular NE Tallahassee neighborhood on Centerville Road, located across from Killearn Estates. With homes priced from $400K to $600K, it represents a unique product line of pricier homes for the 32309 zip code. 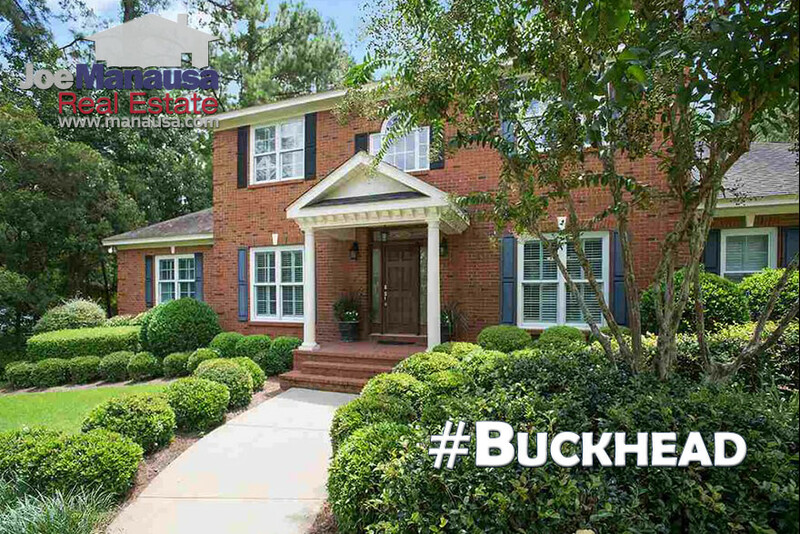 The following homes are the active listings in Buckhead. Currently, there are six homes for sale in Buckhead, and two are already under contract. It is important to note that the narrative contained below is for sales through December for all previous years, but through mid month in the first week of September in 2017. 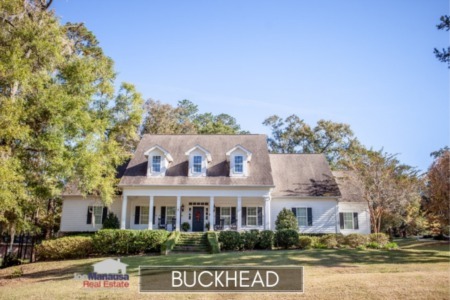 The graphs and the closed sales table will be continuously updated into the future (meaning bookmark this page if you always want to know the current status of homes for sale in Buckhead). Average home prices in Buckhead have dipped thus far in 2017, down roughly 3% to an average price of $450K. If you are concerned about price movement, then take a look at the causation by reviewing the valuation study below. Buckhead home values are pretty flat this year, up less than 1% through the writing of this report in September. While this might make the uninformed think that homes are not appreciating in Buckhead, there is more to know about home sales here. If you look at the table of home sales at the bottom of this report, you'll find that no new homes have sold in Buckhead in 2017. Many new homes have sold in previous years, bringing up the average price per square foot. The fact that an all-existing home sales list could sustain the going rate that had included new homes suggests that values are moving up nicely. If you want to know the real current market value of a home in Buckhead, make sure you don't rely on computer models that do not understand the difference between new and used, as well as a host of other factors that will impact the sale value of a home. The average home size sold in Buckhead typically falls in a range of 2,500 to 3,500 square feet, and this year is no different. The 6 homes sold in Buckhead in 2017 have averaged 2,844 square feet. The following list shows nearly 250 home sales in Buckhead going back to 1994, the first year homes were sold here. This concludes our September 2017 update on home sales in Buckhead, please feel free to drop me a note if you need a real estate broker and are considering selling your home.